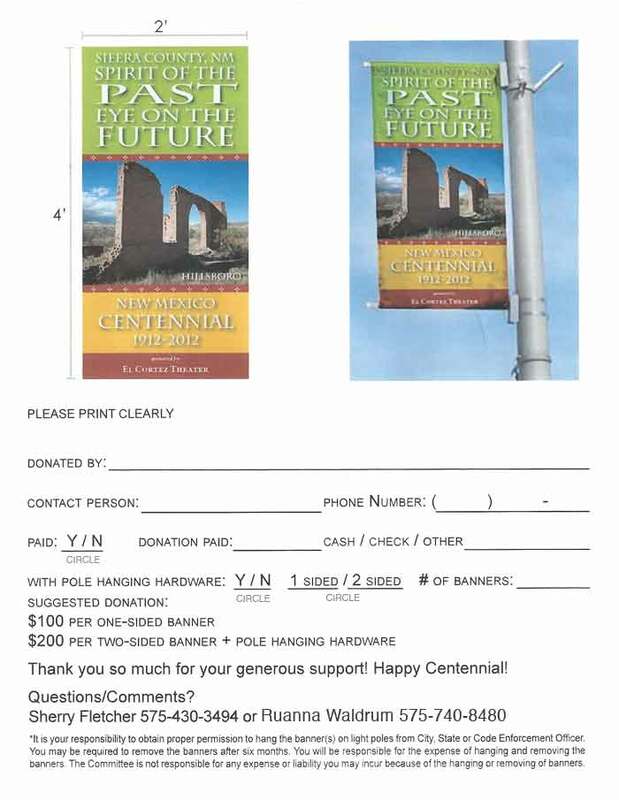 Here’s a great way to show state pride and add a splash of color to your exteriors and Sierra County in 2012 – with a colorful outdoor banner celebrating the New Mexico Centennial! Your business or family name goes at at the bottom; choose an image from our library of beautiful Sierra County photos, or let us figure out for you based on your location. 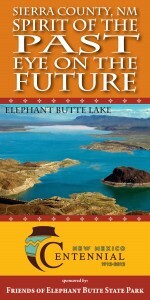 Please contact us if you have questions – info@campoespinoso.org, 575-430-3494 (Sherry), or 575 740 8480 (Ruanna). The banners are sold either single-sided with grommets but no hardware ($100) or double-sided with hanging hardware for pole installation* included ($200). Download a form, place your order, and share the banner for the rest of this Centennial year!